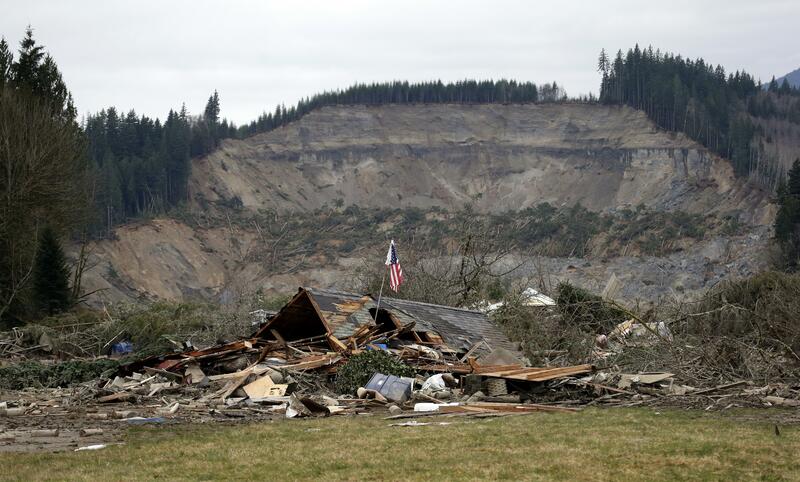 UPDATED: Fri., March 23, 2018, 9:24 a.m.
EVERETT – Plans have been announced for a memorial honoring the 43 people who died in a mudslide four years ago northeast of Seattle in the town of Oso. The Daily Herald reported Thursday that the families, with the help of Snohomish County parks staff, have been working for the past few years on the project. Snohomish County spokesman Kent Patton said having something permanent in Oso will serve survivors and others seeking to understand what happened. A fundraising effort has begun with a goal to raise $6 million. Snohomish County owns the 13 acres that have been dedicated to the memorial. Most of the land would remain natural, but four acres along the Whitehorse Trail through the slide area would be developed for the project. Published: March 23, 2018, 9:23 a.m. Updated: March 23, 2018, 9:24 a.m.